Once again a very enjoyable visit in The Becquer. Wouldn't stay anywhere else. 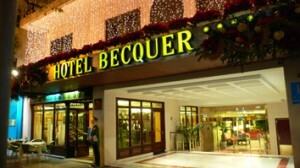 The Becquer Hotel, located in the historical and commercial centre of the city, next to the Guadalquivir River, just 5 minutes walk from the Cathedral, Giralda, Barrio de Santa Cruz and a step away form the area of Tapas (Triana) and shopping. 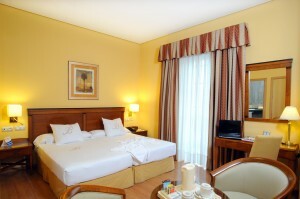 With very easy access to buses and a private garage for hotel guests. 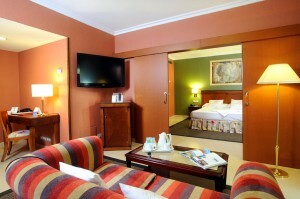 There are 134 rooms fully equipped with bathroom, plasma TV, telephone, minibar, safe, air conditioning or heating, trouser press, laundry service, room service until 24:00, etc ... 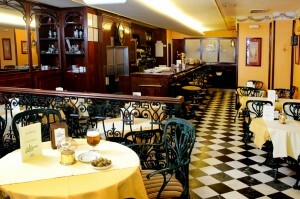 It also has a café-bar "La Leyenda", where our guests can taste typical tapas from Seville and our romantic restaurant "Las Golondrinas", where our guests will appreciate the exquisite dishes of our Chef. On request and with set menus. 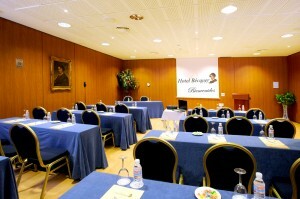 The hotel also has meeting rooms, fully equipped with free WIFI, loudspeakers and audiovisuals. The Becquer Hotel also offers an extraordinary SPA in which we use all-natural techniques and innovative methods through water, massages, muds, essential oils, volcanic rocks and the latest generation of equipment for your personal enjoyment. 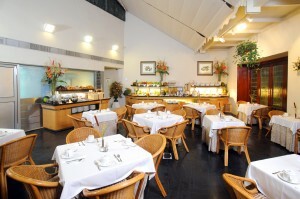 With very competitive prices. 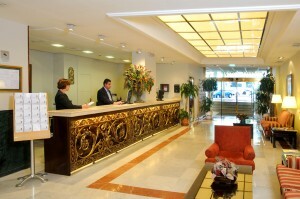 All this, together with our unique personalized service make the Becquer Hotel probably your best option in the centre of Seville. Swimming pool, Terrace and Solarium with wonderful views of the Cathedral and the Giralda.